In the 20th century AD there were more Christians killed because of their faith in the Jewish Messiah than in all the centuries of Christian persecution combined. 65% of all Christians who have ever been persecuted or martyred lived in the years from 1900-2000. Antonio Socci, an Italian journalist, estimates that 45 million Christians were martyred in the 20th century. The New Persecuted: Inquiries into Anti-Christian Intolerance in the New Century Of The Martyrs. This number is considered high by some. Most of the organizations that monitor human rights and Christian agencies that calculate Christian persecutions and deaths estimate the number of Christians killed in the last century as 15-20 million—still a shocking number. 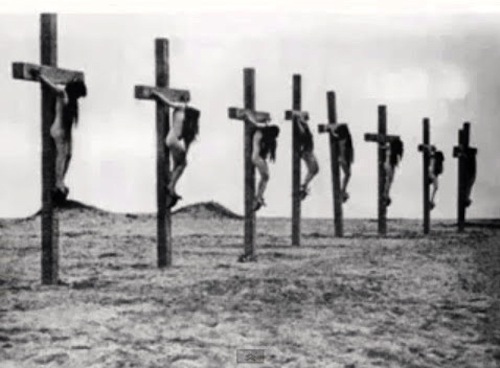 The 20th century commenced with the Massacre of the Armenian Christians beginning on April 24, 1915 and continuing in the years after World War I. The Turkish Muslim government decided that the Christian “race” was a danger to their national unity. In order to settle what they called “the Armenian question,” they systematically killed 1.5 million Christian Armenians. This was and has been labeled “genocide,” the deliberate killing of a certain people in order to put an end to their collective existence. The Turkish Ottoman Empire was Muslim and they sought to eradicate all Christians from their borders in order to have a pure Islamic state. First they massacred all able-bodied men or conscripted them to forced labor. Then they organized death marches into the Syrian desert for all Christian women, children, the elderly and the infirm. During the death marches the Christians were deprived of food and water and subjected to rapes and massacres. There were many crucifixions of both men and women. The modern Turkish government, successor to the Ottomans, denies there was a genocide of Armenian Christians, but twenty-three countries, Pope Benedict and most historians and scholars have acknowledged what the Islamic Ottomans did as “genocide” and the blood-soaked earth cries out.